Last week, a final rule for FAA-2016-6142-0111 (Regulatory Relief: Aviation Training Devices; Pilot Certification, Training, and Pilot Schools; and Other Provisions) was posted. In the summary of the rule, the FAA details that "this rulemaking relieves burdens on pilots seeking to obtain aeronautical experience, training, and certification by increasing the allowed use of aviation training devices. Use of these training devices has proven to be an effective, safe, and affordable means of obtaining pilot experience." The ruling has far-reaching implications for flight training. The FAA approximates that pilots and operators will save up to $113.5 million over five years, with changes to 14 CFR 61.57(c) alone saving pilots an estimated $76.1 million in that time. In the coming weeks, we'll be outlining on Redbird Landing all the contents and implications of this ruling. However, as you plan how to expand the use of your aviation training device in accordance with the ruling, here are some changes that we'd like to bring to your attention immediately. 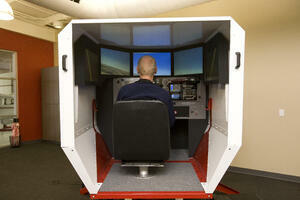 The NPRM proposed to add a definition for Aviation Training Device (ATD) to § 61.1. 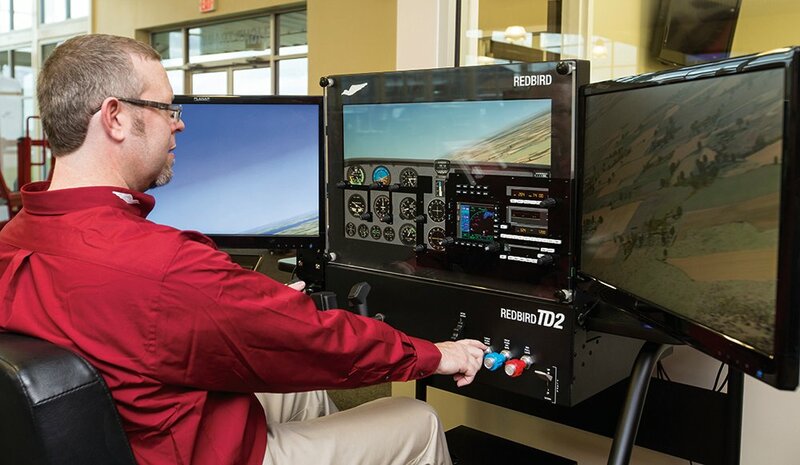 In its final rule, the FAA is adopting the definition of ATD in § 61.1 as proposed: "Aviation training device means a training device, other than a full flight simulator or flight training device, that has been evaluated, qualified, and approved by the Administrator." The NPRM proposed to remove the requirement for an authorized instructor to be present when a pilot accomplishes his or her recency experience in an FFS, FTD, or ATD. In its final rule, and effective July 27, 2018, the FAA is removing the requirement for an authorized instructor to be present when a pilot accomplishes his or her instrument recency experience in an FFS, FTD, or ATD. The FAA emphasizes the importance of clearly documenting in one's logbook the type and identification of the FFS, FTD, or ATD used to maintain recency and a detailed record of the specific tasks completed. For ATDs, the FAA recommends retaining a copy of the FAA Letter of Authorization (LOA) for the ATD used because the LOA contains the type and model of the ATD that must be documented in the pilot's logbook. Paragraph (g)(4) "A person may use time in a full flight simulator, flight training device, or aviation training device for acquiring instrument aeronautical experience for a pilot certificate or rating provided an authorized instructor is present to observe that time and signs the person's logbook or training record to verify the time and the content of the training session." Beginning 7/27/2018, the revised paragraph (g)(4) removes "instrument currency" as an item requiring instructor observation. Paragraph (g)(5) "A person may use time in a full flight simulator, flight training device, or aviation training device for satisfying instrument recency experience requirements provided a logbook or training record is maintained to specify the training device, time, and the content." Beginning 7/27/2018, the revised paragraph (g)(5) allows “Instrument currency” to be completed without instructor requirement. ATDs are approved by letter of authorization from AFS-800 to satisfy § 61.51(g)(5). Paragraph (h) Logging training time (1) "A person may log training time when that person receives training from an authorized instructor in an aircraft, full flight simulator, flight training device, or aviation training device." Beginning 7/27/2018, the revised paragraph (h) adds training received from an instructor in an “aviation training device” to § 61.51(h). The NPRM proposed to allow pilots to accomplish instrument experience in ATDs at the same 6-month interval allowed for FFS and FTDs. The NPRM also proposed to no longer require the additional 3-hour instrument experience and tasks for ATDs. In line with the FAA's final rule, pilots will be able to accomplish instrument experience in ATDs by performing the same tasks required for FFS, FSTDs and aircraft, and at the same 6-month intervals. Paragraph (c)(2) "Use of a full flight simulator, flight training device, or aviation training device for maintaining instrument experience. A pilot may accomplish the requirements in paragraph (c)(1) of this section in a full flight simulator, flight training device, or aviation training device provided the device represents the category of aircraft for the instrument rating privileges to be maintained and the pilot performs the tasks and iterations in simulated instrument conditions. A person may complete the instrument experience in any combination of an aircraft, full flight simulator, flight training device, or aviation training device." Beginning 11/26/2018, the revised paragraph (c)(2) will allow pilots to accomplish instrument experience in an ATD by performing the same tasks required for FFS, FTD, and aircraft, and at the same 6-month intervals. Beginning 11/26/2018, the revisions to § 61.57(c)(2) will be in force and these paragraphs will no longer be applicable. Maintaining instrument experience in a glider will be relisted under § 61.57(c)(3). Paragraph (d) Instrument proficiency check (1) "Except as provided in paragraph (e) of this section, a person who has failed to meet the instrument experience requirements of paragraph (c) of this section for more than six calendar months may reestablish instrument currency only by completing an instrument proficiency check. The instrument proficiency check must consist of at least the following areas of operation: (i) Air traffic control clearances and procedures; (ii) Flight by reference to instruments; (iii) Navigation systems; (iv) Instrument approach procedures; (v) Emergency operations; and (vi) Postflight procedures." The revisions and paragraph redesignations will not affect IPC requirements as they relate to an ATD. To read the entire final rule, you can download it here.